We believe the best way to find the perfect stone is to admire it in person––see it, touch it, compare and commit. We’re a quick in-and-out for customers and their clients to do just that, with easy access to Loop 610 and Highway 59. Our offices and facilities were designed to display inventory in a manner that allows for a cleaner, more thoughtful experience for all parties. To maximize space and ease of shopping, we place much of our material on vertical pallet shelving, and we constructed our yard on concrete to invite well-ordered browsing. 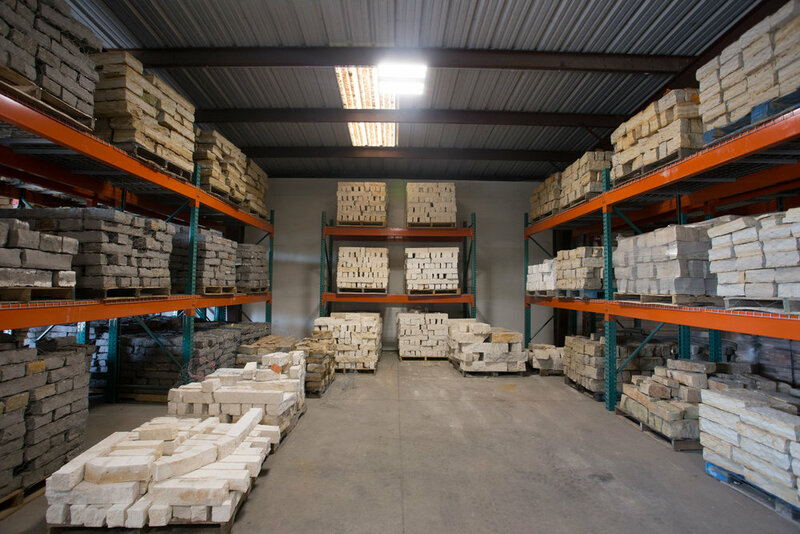 Our weather-protected warehouse and air-conditioned showroom are ideal for bringing clients to peruse our stock and popular samples. We provide shelter from the hot Texas sun and access to a conference table for a relaxed space to talk through options.